Thank you again for your interest in my writing. Your encouragement and feedback are important and helpful as I work on writing a better book that will appeal to future readers. 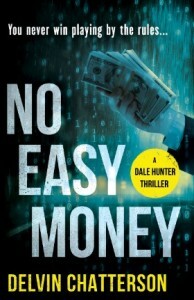 I wanted to share this update with you on where I am now on the first novel, No Easy Money. My intent is to create a series of business crime thrillers based on a young entrepreneur in the computer business of the 1980s. The input from my Reader Review Panel, plus the input from other readers, writers, reviewers and editors, is all helping me to write a better quality book and to understand what will make it interesting and entertaining for readers. Most readers enjoy the plot, the characters and the business and computer background set in the 1980s. The business episodes, Montreal scenarios, political commentary and the BMW are sometimes overdone and not always well-integrated into the plot line. Dale Hunter needs to be a more appealing character and better connected to his wife and kids. The plot needs to be more dramatic and suspenseful to meet the expectations of crime/thriller readers. I am working on all of those issues and polishing the writing of every line, paragraph and chapter in the final manuscript for No Easy Money. It’s a lot of work, but still fun. I am enjoying the collaboration, assistance and encouragement of two experienced and well-qualified editors and a book cover designer. When the final manuscript is done, I hope you will agree that it’s a good book that you will buy, read and recommend it to your friends! Thank you for your continued interest.